What an amazing Christmas Season at Silas Hill! 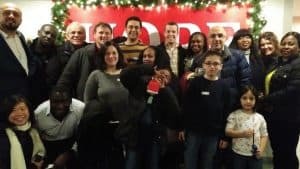 During Christmas we were blessed to participate in many amazing activities at Peoples Church and with many of our friends from the church who came to make the season special! We would like to send a very special thank you to Matt and Kui Millar who spent 6 months living at Silas Hill and ministering to our residents. God bless you as you prepare for all the new adventures God has in store. You will be missed! To all the life groups who celebrated with us this Christmas. To all those who prayerfully support Silas Hill and our residents. To Silas Hill’s amazing Leadership team. To our incredible volunteers for all the hours you give. In October Silas Hill welcomed the Living Truth Team who came and interviewed residents, former residents and volunteers. Thanks to Living Truth for all your support. We can’t wait to see the finished product! That Canada’s refugee and immigration system would be able to expedite the ever-increasing backlog of refugee claimants who are waiting to make their initial claim or have their claimant hearing. For current residents of Toronto’s refugee shelters to be able to find new accommodation, thereby freeing up beds for new arrivals. For the Red Cross First Contact program whose responsibility it is to find safe places for new refugees in Toronto. For Silas Hill and all Toronto refugee shelters to be able to care for newly arrived refugees with love and compassion. For the leaders of Silas Hill and The Peoples Church to wisely discern how to more effectively respond to this need. The First ever Thanksgiving, Halloween, Christmas, and New Years at Silas Hill! Silas Hill’s first full year in operation! Residents who have had successful refugee claim hearings, found longer term housing, acquired their work permits and found employment!